Isaac Cordal is a Spanish artist currently living in Brussels. 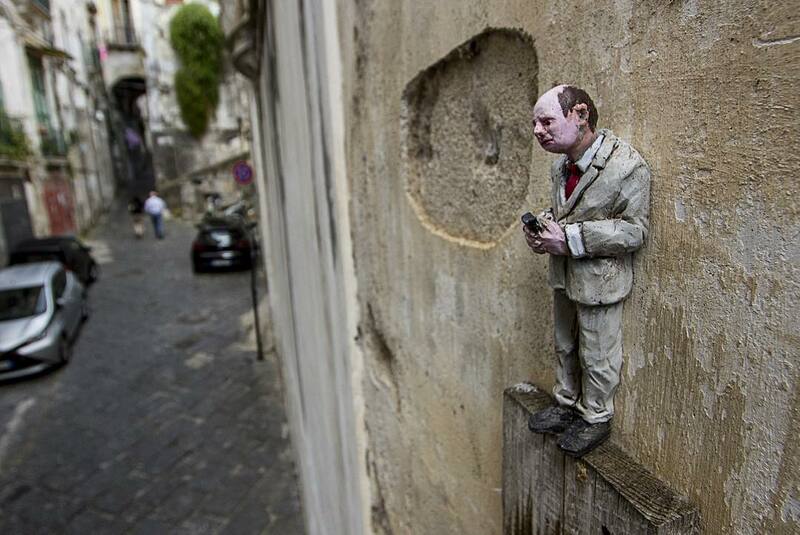 Cordal uses miniature sculptures called Cement Eclipses amongst urban streets to criticise modern society. His themes comment on politics, bureaucracy, human misery, climate change and power. Cement Eclipses is a critical definition of our behavior as a social mass. With the master touch of a stage director, the figures are placed in locations that quickly open doors to other worlds. The scenes zoom in the routine tasks of the contemporary living. “With the simple act of miniaturization and thoughtful placement, Isaac Cordal magically expands the imagination of pedestrians finding his sculptures on the street.” – Steven P. Harrington, Brooklyn Street Art.